This website is about the community comprising Lindal-in-Furness and Marton in South Cumbria. Both villages have fascinating histories, from agricultural beginnings, through the coming of the iron ore industry and the railway, and subsequently as attractive residential areas. The layouts of the villages have hardly changed, but many buildings have come and gone, and areas of land have found new uses. 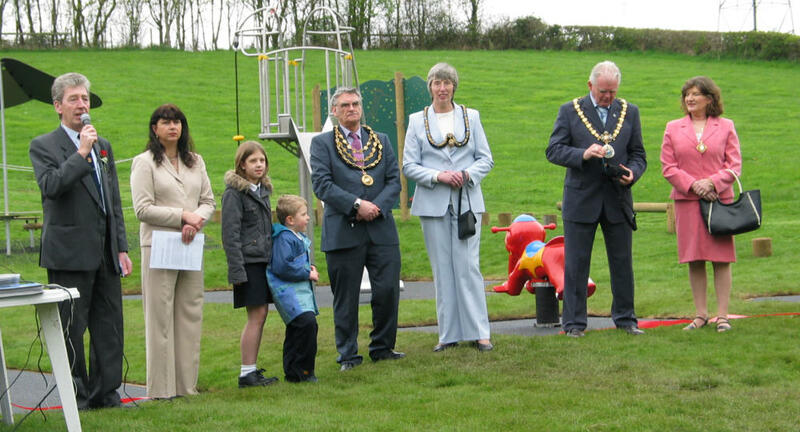 For example, did you know that the Lindal village green was originally a tarn? The tarn was filled in with waste from the extensive mineworkings on the moor, which in some cases were quite enormous. Shops and houses were swept away when the A590 was widened in the 1960's. You can still find evidence of the area's built heritage, but this is continually being eroded away, and you have to know where to look. Lindal & Marton is one of three Parish Councils in Barrow Borough. Parish Council meetings normally take place in the Buccleuch Hall on the first Thursday of each month, and are open to the public. The Parish Council Clerk issues an Agenda a few days before each meeting, and issues Minutes a few days afterwards. Agendas and full Minutes are published on our Downloads page. Note that during 2015, Lindal & Marton Parish Council information will be moving to a new website. Ulverston was recorded in the Domesday Book of 1086 as Ulvrestun, deriving from an Old Norse family name Úlfarr meaning ‘wolf warrior’ and tun meaning ‘farm’ or ‘homestead’. In local dialect Ulverston is known as “Lile Ooston”. On 11th September 1280 the town was granted a Market Charter by King Edward I. This gave authority for a market to be held in Ulverston every Thursday with an annual fair yearly “on the eve, the day and the morrow of the Virgin’s Nativity” (7th, 8th & 9th September). A second fair was established in the 17th century to take place on the Thursday in Whit week for “pedalry and hiring servants”. These important events in Ulverston’s history are still celebrated twice a year around about the end of May and during September’s Charter Festival. Find out more about Ulverston, and enjoy the many festivals and events that take place there. The Visit Ulverston tourist information website is a great place to start your exploration. Copyright: © History of Lindal & Marton. All rights reserved. The material on this website is copyright. You may download, display, print and reproduce material from this website in unaltered form only for your personal or educational use. Disclaimer: Whilst the publisher of this website takes every reasonable step to ensure the accuracy and completeness of information on this website and presents it in good faith, it is provided purely for information and the publisher disclaims all liability arising from negligence or otherwise in respect of such information.